The game show style trivia contest presented by D-L-P.com at California Extreme 2011 in Santa Clara, CA! Who wants to know how this happened? 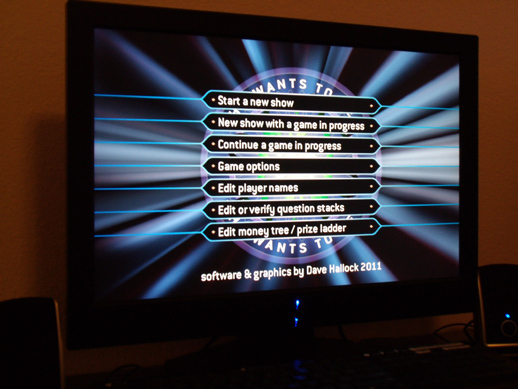 Early in 2009, Dave Hallock noticed that he had the means to put together a substantially solid amateur production of a popular game show. Without realizing it, he casually began doing so in spare time by creating graphics, editing sounds, testing some programming, and diagramming hardware. These elements began piecing together, and the project materialized. Early in 2010, Dragons-Lair-Project.com owner Jeff Kinder confirmed the plausibility of pulling it off and joined the production with his live audio mixing skills. 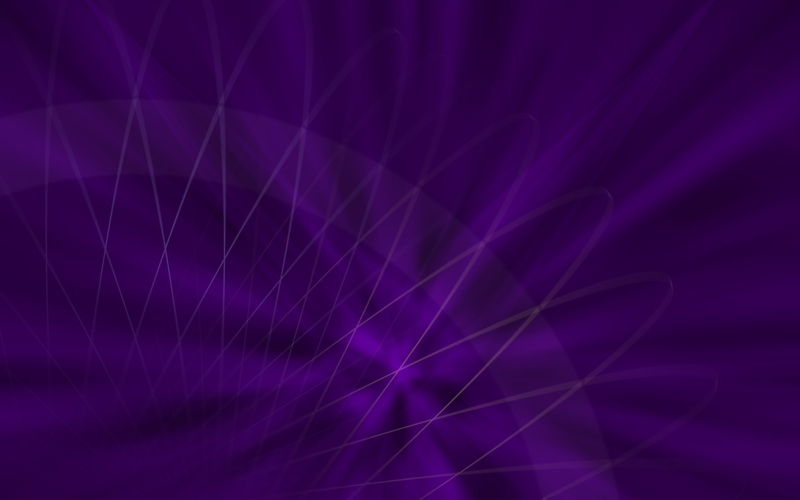 Serious programming, graphics work & hardware acquisition then got underway. In July 2010, a private demo was prepared and shown to a handful of people from D-L-P.com, including Steve Hertz of the Southern California Classic Collectors, and Warren Ondras. 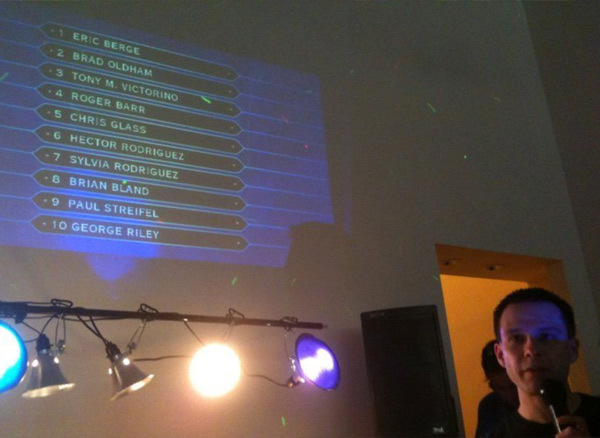 Steve invited the game to be tested at the next SC3 gathering, and Warren programmed a custom DLL extension to allow the game software to communicate with an X-10 lighting control device to provide dynamic stage lighting. Most of the hardware elements, including the players' keypads, were then constructed, and the additional software for the host's and player's monitors was written and networked. 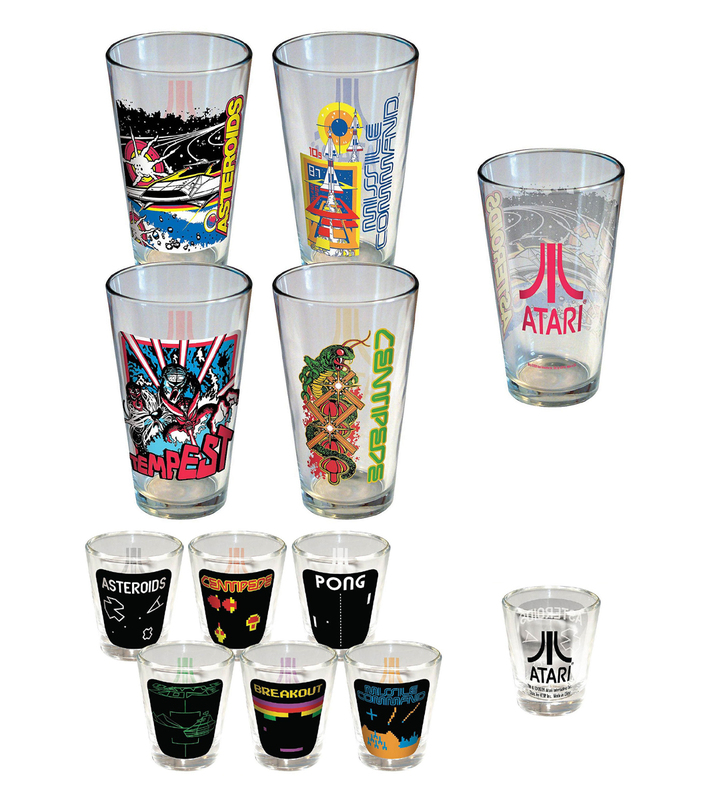 In March 2011, a test version was ready, and we played Who Wants to Win the Glassware at SC3 in Alhambra, CA, with a grand prize of Atari-themed glassware. For this test, audience voting was not electronic, and the crowd cheered for their votes. Fortunately, D-L-P'er Brad Oldham was there, and had the genius to propose that the audience could cast votes indivdually with their smart phones, via a background application that could feed the votes to the game software. With smart phones having just recently become popular enough that most people would probably be able to participate, the decision was made, and Brad whipped up the app in no time. A privately distributed video of the SC3 test caught the interest of the organizers of California Extreme, and so Bowen Kerins and Ken Chaney made way in the CAX 2011 schedule and furnished the prizes to accomodate the first full production of the show, Who Wants to Win an Arcade Game, with the facility of Scott Evans' A/V equipment and expertise. Show preparation at California Extreme was influenced by documentary film producer Alexander Gray and his producing partner Jeff Maynard, who graciously offered some desperately needed direction to the filming. The work they did was excellent and made an enormous difference. The following months after the show, Dave Hallock acquired serious video editing tools and learned how to use them. And now finally, three years in the making, the two-part video of Who Wants to Win an Arcade Game!